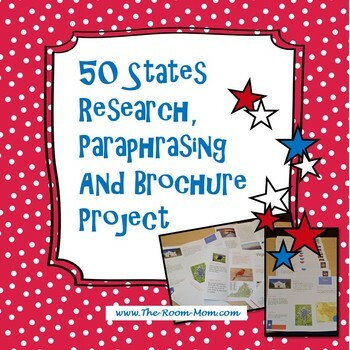 The first part of the United States brochure project materials teaches a paraphrasing techniques to students to use while note taking. 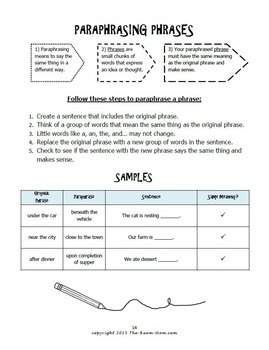 After students practice putting text in their own words, each student is assigned a state to research. 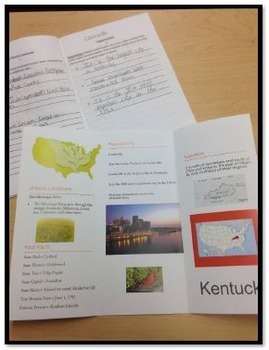 Students search for a variety of facts about the assigned state and present the information in a state brochure. They use their paraphrasing skills to gather notes in order to prepare the tri-fold brochure. 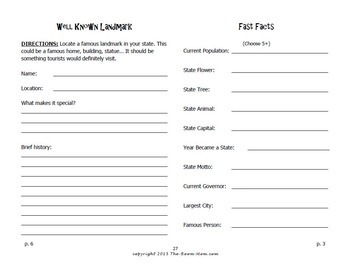 There is an optional letter writing activity in this product where students write to a person living in the researched state and request that the person mail a postcard back to the class, so this is a great unit to integrate into a state postcard exchange. After the brochure is complete, students complete a chart that makes generalizations about the United States regions in order to compare and contrast the geography of the United States.